If you were planning to buy your old man a “World’s Greatest Dad” mug for Father’s Day, stop right now. You can do much better than that, especially with a little help from MakeUseOf. If your dad is into technology, there’s a whole world of potential gift ideas out there. And don’t worry, you can buy most of them without breaking the bank. If you know you want to buy him something tech-based but you’re struggling for inspiration, relax. We’re here to help. Here are some gifts that are guaranteed to entertain your dad this Father’s Day. With the explosion of streaming services in the last few years, there’s now more choice than ever in this category. That’s great news; you’ll be able to sign your dad up for something that precisely matches his tastes. You could give him a subscription to one of the “big players” like Spotify ($9.99/mo), Netflix ($10.99/mo for the HD plan), Hulu ($7.99/mo), or Google Play Music ($9.99/mo). Alternatively, you could get him something more personalized. For example, there are lots of niche music streaming services that help him discover new music genres. And if he’s a classical music fan, you should check out Primephonic. 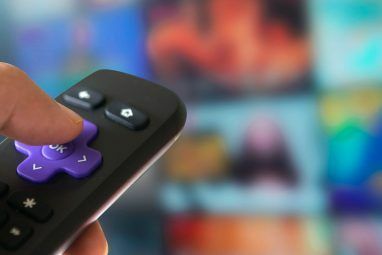 There are also niche video-on-demand services 10 Niche Streaming Services for Those Who Hate Netflix 10 Niche Streaming Services for Those Who Hate Netflix Mainstream streaming services carry mainstream content. What can you do if you want to watch something a little less conventional? You're better off checking out these alternative streaming services packed full of niche content. Read More that cater to a specific type of content. Check out providers like Acorn TV, Concert Vault, and RUSC to get a taste of what’s out there. Depending on how old your dad is, it’s possible that he won’t appreciate the lack of digital media ownership that has come with the streaming generation. Instead, he might enjoy a more old-school approach to music consumption. If he has been collecting vinyl and doesn’t want to listen to Justin Bieber and co., you may want to buy him a turntable instead. But don’t be fooled. Turntable technology has progressed somewhat since the 1980s (or should that be 1950s?). These days, you can find turntables that can connect directly to your computer. It’s a feature to look out for if you’re buying a new vinyl turntable 7 Things You Must Know When Buying a Vinyl Record Player 7 Things You Must Know When Buying a Vinyl Record Player Wondering how a vinyl record player works? Looking to buy a record player of your own? Here's every question of yours, answered. Read More . If you buy a USB turntable, your dad will be able to import all his music to his preferred desktop music manager. He could even use his computer speakers for the audio output. There are lots of options on the market, but two possibilities that balance price with quality are the Sony PS-LX300USB and the Audio-Technica LP-60. If your dad is a tech nerd and already has a subscription to Spotify or one of the other well-known music streaming services, perhaps you should consider buying him a Bluetooth speaker. It will let him easily listen to his music whether he’s pottering in his shed or putting up some shelves. Again, there are lots of Bluetooth speakers to choose from. They vary drastically in quality and price. Much of your purchasing decision will come down to how much you’re willing to spend. At one end of the scale, you could pick up a Dali Katch for around $500. If that’s too much, set your sights a bit lower and buy a water-resistant Creative Muvo 2c. This is the last music-based idea on the list, but it’s also one of the best. If your dad is an audiophile, he shouldn’t be without a quality pair of headphones. 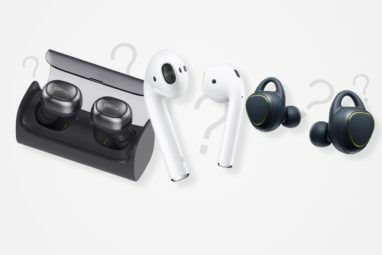 The difference in sound quality between a cheap pair of in-ear buds and a top-end pair of noise-canceling headphones for audiophiles set is vast. It’s important to make sure you buy the best headphones for your budget. However, if you’re not sure where to start, you could consider the Oppo PM-3, the Sony MDR-ZX770BT, or the Audio-Technica ATH-MSR7. Okay, let’s move on from music. What should you buy if your dad loves watching TV? Luckily, you have lots of options. The first thing to consider is a set-top media box. Again, there are lots of choices, so make sure you ask yourself some important questions about the media player you want before hitting the shops. Some are better than others, but when buying as a gift, you should base your purchase decision on two things. First, how technologically gifted is your dad? And secondly, what operating systems and hardware does he use on a day-to-day basis? For example, if he’s not very tech-savvy, give Kodi boxes a wide berth. They require a lot of setting up and can be complicated to manage. If he’s an Apple user, get him an Apple TV, which isn’t as feature-packed as its competitors but will integrate beautifully with an existing setup. And if he’s device agnostic? Consider a Chromecast, Roku Express, or Amazon Fire Stick. If he’s already got a set-top box and possesses a vast collection of locally-saved content, you need to buy him a Plex Pass. In case you’re not aware, Plex is a home theater app that can stream video, music, and photo files to any computer or device in your house. With a bit of legwork, you can even set it up so you can access your content remotely when you’re away from home. As of June 2017, Plex also supports live television. Plex Pass is the premium version of the app. It introduces a range of features beyond the free offering. They include the Live TV feature, a DVR, mobile sync, cloud sync, parental controls, and a whole lot more. A three-month subscription costs $14.99, a yearly subscription will set you back $39.99, and a lifetime subscription is $119.99. What do The IT Crowd, Doctor Who, Star Trek, Battlestar Galactica, Red Dwarf, and Mystery Science Theater 3000 all have in common? They’re all TV shows adored by geeks! They all also have multiple series, making them perfect box sets to buy for a geeky dad. Contrary to popular belief, the DVD format is alive and well. Sure, sales might have declined in the last few years, but estimates suggest there are still more than 250 million discs sold annually in the U.S. alone. If your dad is smart, he will be able to rip DVDs onto a computer, then add them to his Plex server. From there, he can stream his present around the house. So, look forward to listening to the Star Trek theme tune from Father’s Day until Christmas! If your dad is more of a reader than a watcher or a listener, he needs an Amazon Kindle in his life. Just make sure you choose the right Kindle for his needs. Not only are the Amazon e-readers portable and easy to use, but they can save you dad a ton of money. The average cost of a current bestseller on Kindle is $7 while the average cost of a paper version of the same book is well over $20. Kindles are also a great way to find new books to read. Amazon offers a range of different Kindle devices, each with different features and specifications, such as the luxurious Kindle Oasis. What do you get for the dad who’s got everything? 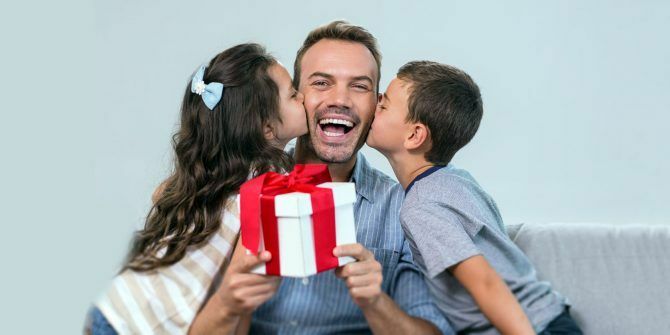 If your father is the type of person who’s constantly treating himself to little gifts throughout the year, it can be hard to stay on top of what he’s got, what he wants, and what he needs. The solution? Buy him an Amazon Prime subscription. That way, he can just buy whatever he desires. For $119/year or $12.99/mo, he will get free shipping (as little as two hours on certain items) and early access to the Amazon Lightning deals. Not to mention he will get access to Amazon Prime Video (packed with awesome shows to watch) and Prime Music. OK. There’s a lot of ideas listed above, so you should be able to find something your dad will like, right? What do you mean you can’t. Well, I’m sorry, but if nothing we’ve suggested has inspired you, you’re beyond help. So perhaps you should get him that “Best Dad Ever” mug after all! Joking aside, if you’re still struggling for ideas, we’ve got you covered. We’ve written about smart home gadgets that are perfect for any dad The 10 Best Smart Home Gadget Gifts for Dad on Father's Day The 10 Best Smart Home Gadget Gifts for Dad on Father's Day Father’s Day is right around the corner. If you're still looking for gifts, look no further! These great smart home gadgets are the perfect choice for dad. 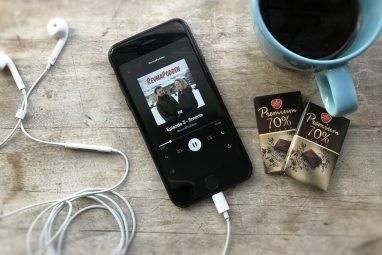 Read More , created a list of “dad movies” 10 Dad Movies to Watch on Netflix This Father's Day 10 Dad Movies to Watch on Netflix This Father's Day Father's Day is the perfect occasion for an indulgent meal, awesome gifts, and---if you're a family of film buffs---a movie marathon. Read More that could make a perfect DVD gift, and introduced you to techy dad gifts for under $50 10 Tech Gifts for Dad That Are Under $50 10 Tech Gifts for Dad That Are Under $50 Getting an awesome gift for Dad doesn't have to burn a hole in your pocket. Here are some amazing ideas that won't cost you more than $50. Read More . Explore more about: Amazon Kindle, Amazon Prime, Father's Day, Gift Guide, Gift Ideas, Headphones, Kodi, Media Streaming, Plex, Speakers. Thanks for listing the three best sites, it is really useful for me to save money,I am going to suggest this article for my mom and sister, keep doing this great work and keep sharing. A couple misses, but far more hits than expected. Good list. The mug is a classic ending to this kind of article. Nicely done. Plex Pass: What Do You Get for Your Money?